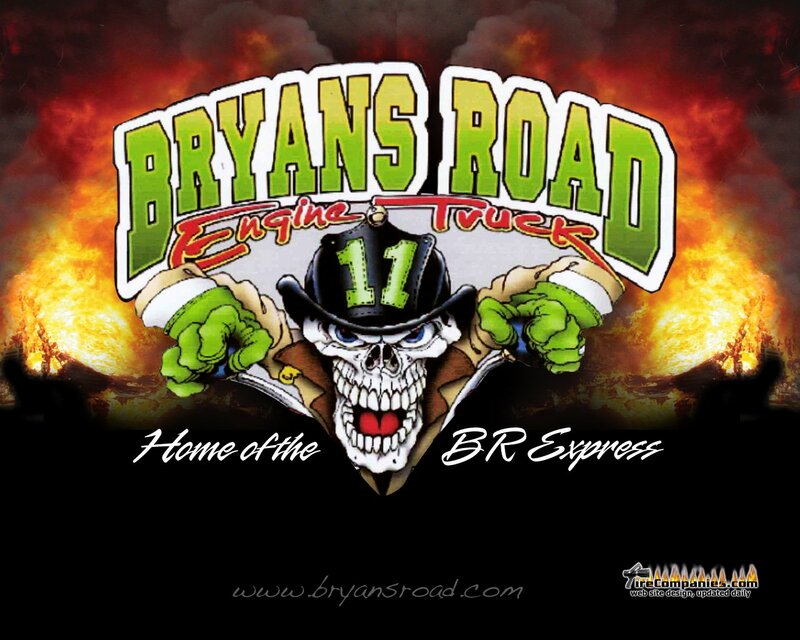 The Bryans Road Volunteer Fire Department and Rescue Squad, Inc., was organized in September 1962 at a meeting held for the community of Bryans Road, Maryland. A board of directors was elected at this meeting. In December of 1962 we were recognized by the State of Maryland with a charter. In February of 1963 a new 750 GPM Ford Pumper equipped to meet Charles County and Maryland State standards was ordered. At the same time a basic firefighting course was started with 16 members sponsored by the University of Maryland in order to prepare us for our new job ahead in fire protection and suppression. During the period of schooling and the wait for our first truck, a cinder block building measuring 15x30 feet, large enough for the truck, was constructed. This building, consisting of a black top floor and a donated heater, was erected by the members and other volunteers. We used a portable heater in the back of the squad room to keep warm and ready for emergencies. Our first truck was delivered to Bryans Road in May of 1963. On June 6, 1963 the Bryans Road Volunteer Fire Department went in service. Later we purchased a 1942 Chevrolet truck for a brush truck. This truck had to be parked on the outside of the one bay fire station. Our next task was to start a rescue squad. In 1964 we purchased a 1955 Pontiac Ambulance and equipped it ready for service. This ambulance was also parked on the outside of the one bay fire station. In 1965 we moved to our new fire station and during that same year we purchased a 1962 Cadillac ambulance. During 1966 we ordered our first new Cadillac ambulance to replace the old Pontiac. In 1966 we purchased our second 750 GPM Ford Pumper with a 1,000 gallon booster tank equipped to meet all standards to replace the 1942 Chevrolet truck. We also purchased a new 1969 Cadillac ambulance. In 1971 we purchased a new Ford van type truck to be used for electrical generator and lights and breathing air for interior firefighting. This unit, known as Unit 11, was designed by a committee of members of the company and all equipment was placed in the unit by the members. This unit also went to all other companies in the County for them to view. Unit 11 responded throughout the County because of its breathing and lighting equipment. The fire department started with 19 members in 1963 and we have been on the increase ever since. A Ladies Auxiliary and many other support personnel are all volunteers. We have come a long way from 1963. We are proud of not only our personnel accomplishments but of our equipment and the services we have rendered to the community and mutual aid to other companies and counties. In 1970 an addition was built on the fire station to house the two ambulances and to make room for our fire equipment. A hose tower was also built for the station.